Home-Cooked & Handmade: Cinnamon Vacuum Powder? I'm participating in the Ultimate Blog Challenge. Check it out! I was so excited to try this one. Ah, fall, and the warm and delicious smell of cinnamon! I saw a tip on Pinterest to sprinkle some ground cinnamon on the floor, vacuum it up and continue vacuuming the rest of your house. This is just plain old cinnamon, the one I use for baking. The idea is that as the vacuum heats up, the cinnamon smell will fill the air. In a word, no. 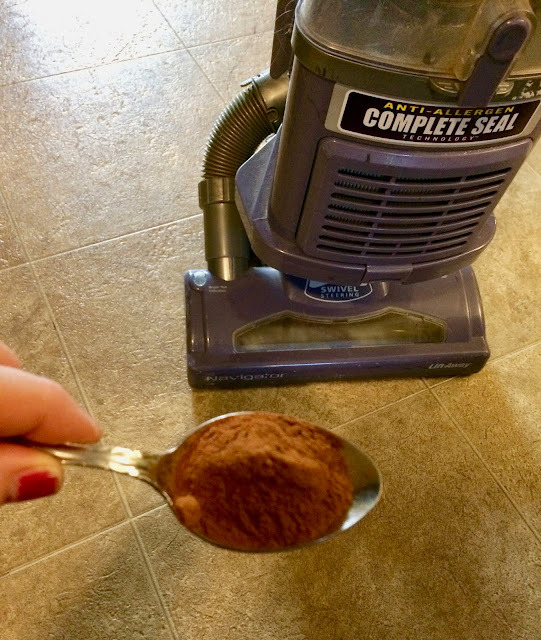 I put about a tablespoon of cinnamon on the floor, vacuumed it up and hoped for a delicious cinnamon smell to fill the air. But I was left flat. This Pinterest tip is not a keeper. I really wish it worked. Maybe if I sprinkle my rugs? No, even if they did smell nice that way, the cinnamon has potential to stain. I don't want to do that. It's too bad, I thought this idea had great potential. Looks like this is one I'll be deleting off my DIY boards! Do you have any Pinterest ideas that fell flat? Leave them in the comment section below. I'd love to hear of your Pinterest fail! 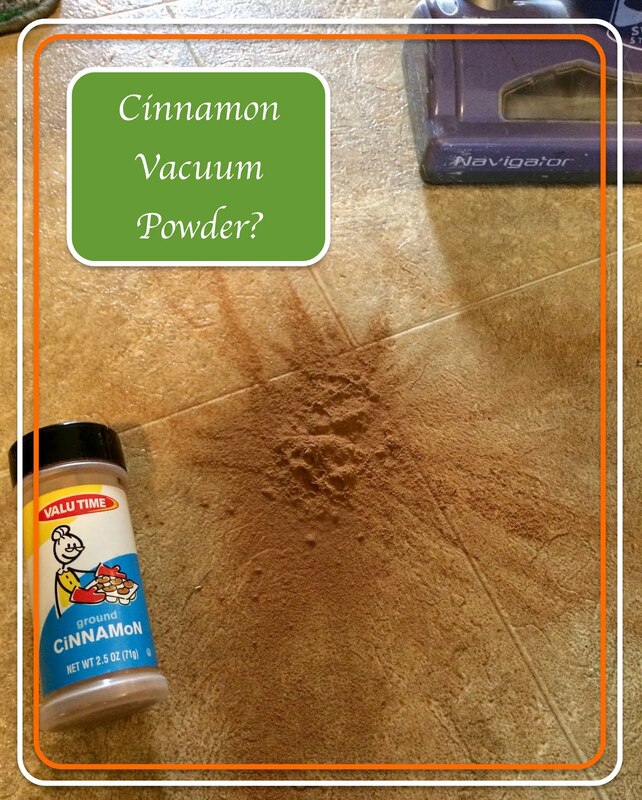 Update: Days later I smelled the faint scent of cinnamon while vacuuming. It was so faint that I had to stick my nose to my vacuum to confirm it. I still don't recommend this idea. Darn I was excited when I read your title, I love cinnamon and have a "stale" odor from the vacuum. Maybe sprinkle some inside the vacuum bag? It's a canister, but I could put some inside. Funny thing is, a week later I smelled it very faintly while I was vacuuming. Maybe It has to sit in there for a while. A week later, after I had emptied the vacuum there was a faint smell. I think maybe it got into the filter. Oh sorry it didn't work. I would love to smell cinnamon when I vacuum. I know, right? Maybe I could try more next time. I was wondering if it worked and if so I had been going to try it out. So thank you for saving me the time. In the meantime no, I don't have any Pinterest fails. It might work better with more cinnamon or a bag vacuum. Obviously, she didn't purchase that brilliant, sparkly new canister vacuum that day. We stayed with the one that did the activity. Today there are such a significant number of vacuums available it appears to be practically difficult to know which one to purchase. Refinery overhead systems.